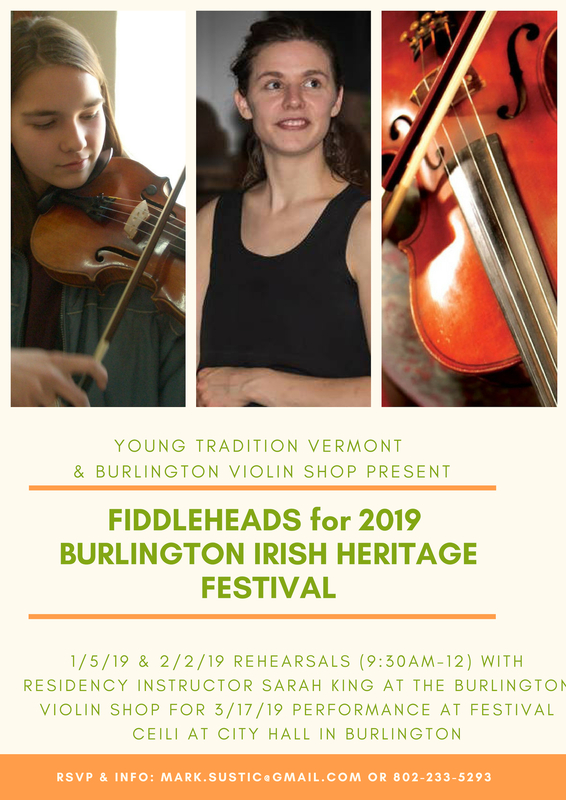 Sarah King lead a Fiddleheads residency on 1/5/19 and 2/2/19, teaching and rehearsing tunes that Fiddleheads will perform during the Burlington Irish Heritage Festival Ceili on 3/17/19 at City Hall in Burlington. 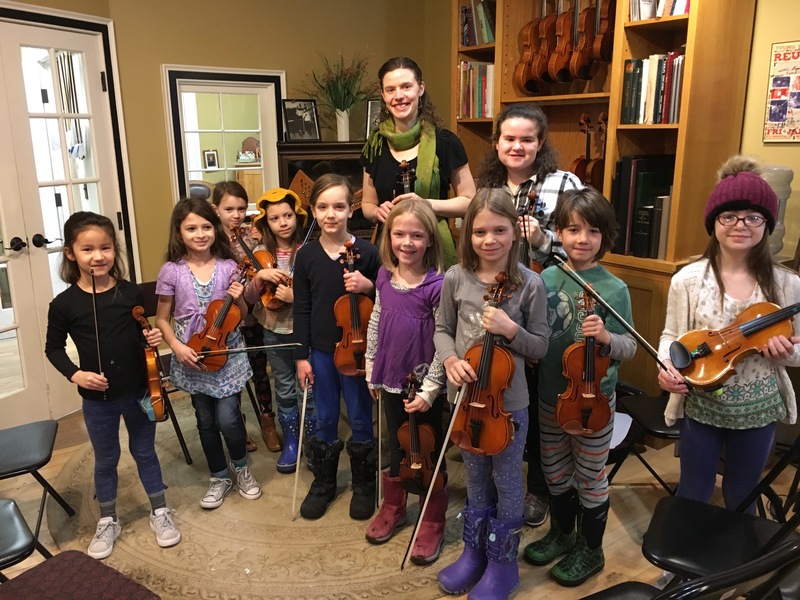 Sarah is also President of Young Tradition Vermont, growing up in a musical and dance-oriented family in Jericho, volunteering at the Champlain Valley Festival, and has extensive experience with contra and ballroom dancing with Vermont Swings as an organizer, teacher, and performer. She has participated in many Young Tradition Vermont programs and activities, including Fiddleheads, the Young Tradition Touring Group, the instrument petting zoo, Young Tradition Showcases, Young Tradition Weekend, and the annual contest. She was home-schooled, finishing high school as the valedictorian at Mt. Mansfield Union. She graduated from Vassar College in Poughkeepsie, New York, and teaches math at Johnson Elementary School.